If you want to start a quick argument, tell an avid runner that walking one mile and running one mile have the exact same fitness and health benefits. 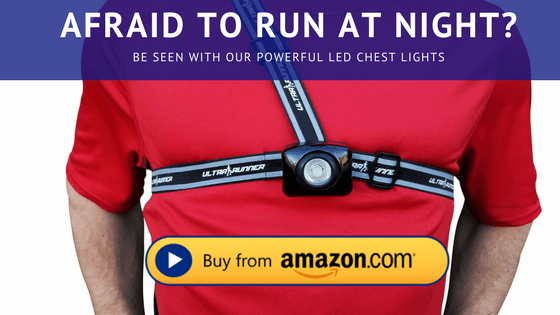 This is a hot button issue among many runners, and the debate has points on both sides of the coin. Walkers will talk about how fewer injuries result from their exercise, and how they burn the same amount of calories per mile. However, when it comes to the benefits of running vs. walking, running comes out as the clear winner. The following five points are all advantages that you will have when you choose running over walking as your fitness activity of choice. Walking simply doesn’t engage your muscles in the same way that running does. When you run, you are actually off the ground between each stride, meaning your legs have done a lot of work to get your body weight airborne time after time. When you walk, one foot is always in contact with the ground so those muscle are not working nearly as hard. Your lungs will be required to work overtime in order to keep oxygen flowing to your muscles during a run. Because of that, running is great for improving cardiovascular conditioning. Walking under normal conditions does not elevate your breathing and will not improve your cardio levels no matter how many miles you walk on a regular basis. Some evidence suggests that walking a mile and running a mile do in fact burn the same number of calories. However, that statistic is deceiving. When you stop walking, your body quickly stops working and the calorie burn will cease. When you run, your body keeps working long after the run has ended and you will keep burning extra calories throughout the time. The result in the end is a better calorie burn gained by running the distance vs. walking it. Walking is easy for most people. Even if you walk ten miles, your body will likely not fight you along the way and you can finish the walk with relative ease. On the other hand, a ten mile run is a serious feat of endurance that pushes you not only physically, but mentally as well. Your body will be telling you to shut it down and rest, so your mind must overcome to keep running the entire way. That mental toughness and feeling of achievement is a powerful thing that can translate into many other areas of your life. The release of endorphins is known as a ‘runner’s high’ and is something that can only be achieved with a strenuous run over several miles. This powerful feeling can be addictive and lead runners to get back out on the road time and again. Walking is not intense enough to elicit the release of endorphins and you will not be able to experience this feeling. There is nothing wrong with walking for exercise, and it is certainly better than choosing to do nothing. However, the benefits of running vs. walking is a landslide win for the runners of the world. Burning more calories, strengthening muscles, and feeling great are just some of the things you can expect from running on a regular basis. I agree, the benefits of running far outweigh that of walking. But this doesn’t mean that you need to force yourself to run to get all the listed benefits. If you will walk twice the number of minutes you spend running, you will also burn the same amount of calories. This is according the numerous written articles across the web. We should also try to understand that running is not for everyone. So if you belong to this kind of group of people do not be discouraged, just keep on walking. 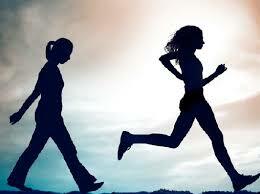 Walk far and walk fast and you will ultimately enjoy the benefits provided by running. Awesome issuess Һere. I am very glad to see your article. Tɦanks so mucһ and I’m looking forward to contact yоu. Ꮃill уou pleaѕe drop me ɑ mail?